This infamous print is back and better than ever in this dusty pink floral print. 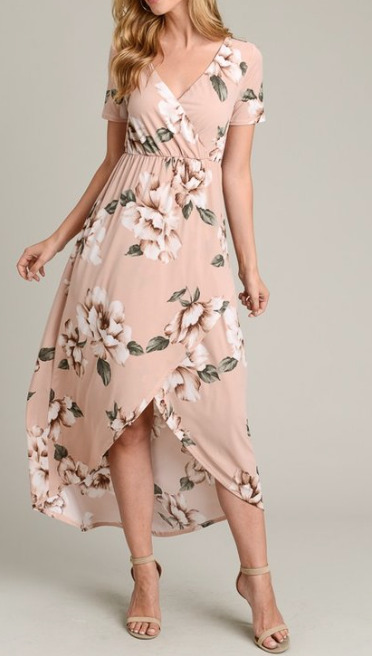 High low maxi dress, featuring wrap detail front, V neck, short sleeves and such a unique + vintage floral print. This dress is also lined ~ so not see thru at all. Short sleeve v-neck high low vintage floral print dress with lining.